Rex Art Celebrates 60 Years in Business! 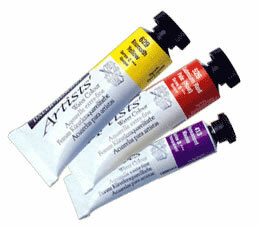 | Save 50% to 60% Off on Daler-Rowney Artist Watercolor and Robert Simmons White Sable Brushes! 2010 marks the 60th year of business for Rex Art, and our 15th anniversary of being the world’s first on-line art supplier. Four generations of family members have worked at Rex, and it is been our pleasure to assist our customers over the course of our history. What better way to celebrate our anniversary then to give our favorite customers some amazing specials? This time around we are featuring Daler-Rowney Artists’ Watercolors at up to 50% off! Could there be a better way to start spring than to start the Spring watercolor season with an amazing deal for artist quality Daler-Rowney Artists’ Watercolors? Celebrating Rex Art's 60th Anniversary - Save up to 50% off on Daler Rowney Artist Watercolors! We are also offering Robert Simmons White Sable Brushes at 50 – 60% off, and they are the perfect pairing with artist’s watercolors. Robert Simmons White Sable Brushes are the original white sable brushes, and often imitated but never duplicated. They have a unique blend of synthetic filaments that deliver all the benefits of pure red sable brushes for point and spring back at a fraction of the cost. Robert Simmons doesn’t just talk about quality, but back it up with an incredible lifetime warranty. If your Robert Simmons White Sable brush should ever fail to satisfy you can send it back to Robert Simmons for replacement. No other brush manufacturer that we have ever carried at Rex offers better quality, and the warranty to back it up! Rex Art 60th Anniversary Celebration! 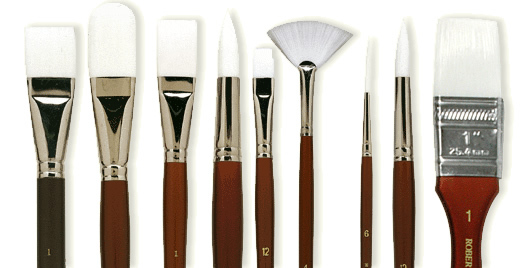 Take up to 60% off Robert Simmons White Sable Brushes! Rex Art 60th Anniversary Celebration! - Get a FREE Daler-Rowney Artist Watercolor set! 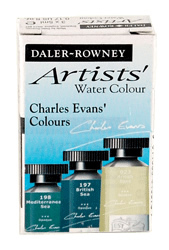 FREE Daler-Rowney Watercolor Set with the purchase of $150. See Details. Restrictions Apply. While Supplies Last. As always our family at Rex thanks you for your support and 60 great years! We look forward to the next 60! Rex Art Celebrates 60 Years in Business! | Save 60% Off! What better way to celebrate our anniversary then to give our favorite customers some amazing specials? With that thought in mind, and it being our 60th year of business we have some amazing 60% off promotions to kick off the celebration. First up, is you can save 60% off our selection of Isabey Brushes. Random mix of up to 7 different fibers and diameters resulting in superior performance. Also available at an amazing Rex Art 60th anniversary special 60% off promotion are the Robert Simmons Sienna long handled and short handled brushes. Rex Art 60th Anniversary Celebration! Take 60% off Robert Simmons Sienna Brushes! Robert Simmons Sienna long and short handled brushes are made to perform at professional artist standards and feature a lifetime factory warranty. The brush itself is composed of high quality, state of the art, synthetic filaments resulting in a rich mixture with a smooth, soft feel which returns to a point or sharp edge every time. This luxurious blend allows for control in painting but with enough resilience to perform perfectly every time.